All of our projects and programs are possible because of generous donors. These donations are used to fund essential programs and services, such as guest lecturers, visiting professors, and student socials. If you would like to contribute to Kinesiology, please follow the instructions below. Thank you! 1. Visit the official Cal Poly University Advancement site (link opens in new tab). 2. 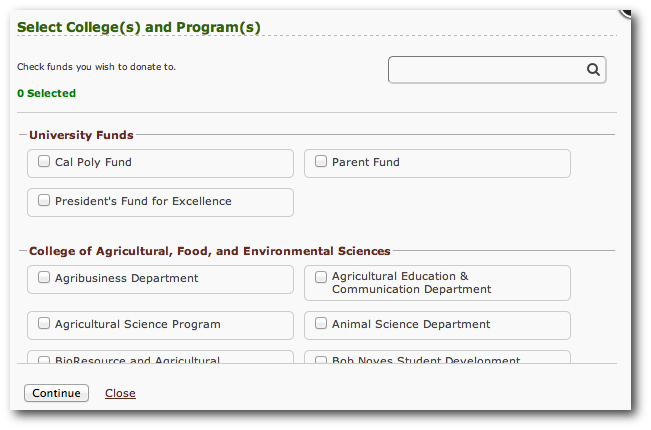 Under designations, choose "Select college(s) and programs"
3. A pop up window will appear. 4. 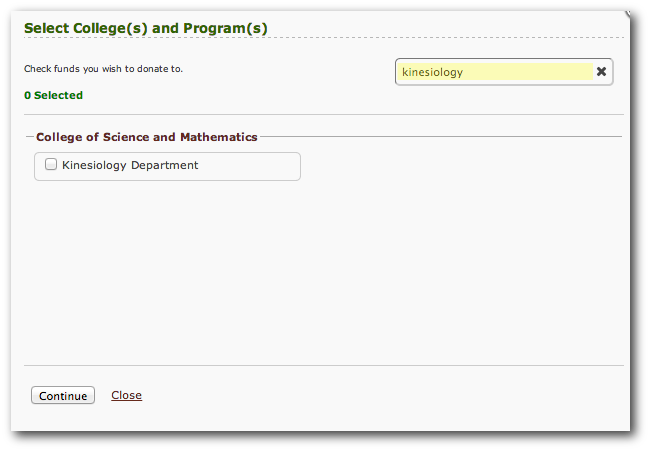 Using the search bar in the top right of screen, search "Kinesiology", check the box, and click continue. 5. Enter amount and fill in remaining required fields. Thank you for your generous support of the department!